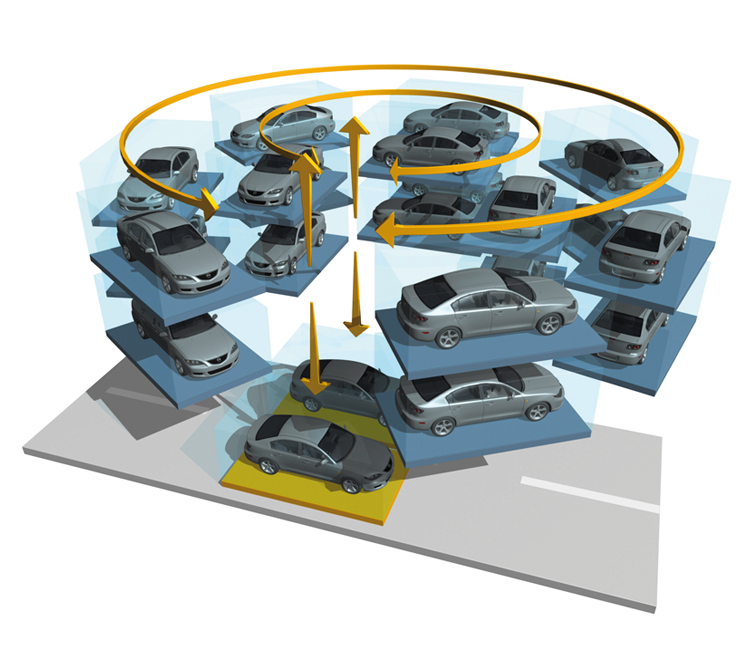 An automatic system for independent parking making a full use of available parking space by placing cars onto pallets arranged circularly in particular annular rings and on top of one another. For indoor application only. Available varieties for use above ground, under ground and combined. It is also suitable for subscriber parking and park timing. A number of cars can be stored within a confined space. 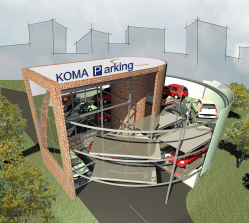 A solution particularly suitable for sites with a high density of cars to park. Unusual shapes and an attractive design. Allows for a commercial use of the space on floor one. An automatic system for independent parking, stacking cars on pallet on particular annular rings. Attractive design. Potential for commercial use of ground space of the structure. Buffer car parks for sites with a heavy traffic. It is a set of annular rings and lifts. The number of arrivals is based on the number of annular rings. A combined variety (above ground and in ground) allows to double the number of entreies by placing them along the opposite sides.